SOUTH African mines minister, Gwede Mantashe, postponed a visit to the Xolobeni community in the country’s Eastern Cape on December 9 which was earlier described by human rights lawyer Richard Spoor as an intentionally provocative meeting. Spoor said in a statement that was published through the Facebook account of Amadiba Crisis Committee (ACC) that the meeting involved co-opting other communities, some from KwaZulu-Natal province, to convince the community that they needed mining. Spoor is the legal representative of the ACC. 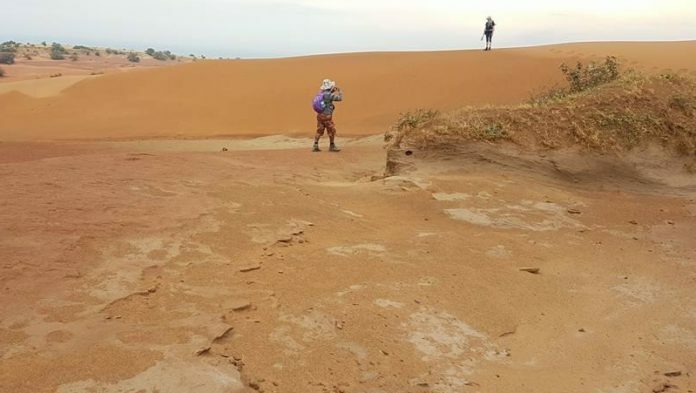 The Xolobeni community has through the ACC been fighting plans by an Australian company to mine mineral sands on their land. An important High Court ruling last week, however, found that the minister could not grant mining rights without receiving the blessing of the community first. Mantashe said he planned to return to the community over the weekend in compliance with community requests previously that he engage more widely with the community. But Spoor warned against the meeting saying that violence might be provoked. “We are shocked what the minister is prepared to do,” he said. “If people from outside are brought to Xolobeni to sign attendance registers, such people or the police may also attack us, as happened on 23 September,” he added. “We appeal to ANC leaders who are not personally invested in Xolobeni mining to intervene and stop this,” he said. “We expect DMR [Department of Mineral Resources] to cancel these plans right now,” he added. Spoor said that no contact was made with the lawyers of the Umgungundlovu Traditional Council or with the ACC before this. ACC lawyers subsequently contacted the DMR stating that “… there can be no meeting in Xolobeni”. The view of the ACC was that any further meetings were unnecessary. The DMR issued a statement expressing its disappointment at developments. It said that the minister “… had intended to return to Xolobeni this weekend but has since postponed his visit to allow stakeholders more time to prepare. “The minister has also interacted with Richard Spoor, the legal representative of the ACC, on these matters. His statement issued to the media earlier today is rather unfortunate and disingenuous regarding the minister’s intentions. This is highly irresponsible and can only serve to fuel tensions in the community,” the DMR said. Spoor is no stranger to mining sector controversy. He has led legal fights on behalf of former miners who had contracted lung diseases both on asbestos and gold mines. The latter legal battle, in which he defended miners who had contracted silicosis resulted in gold mining firms agreeing to a large settlement. Look, I am no fan of Mantashe’s but in this instance I hope he “cuts the throat of whiteness” as our dear friend Malema would put it. Richard Spoor is nothing but a vulture, preying on the weak and the vulnerable. Spoor have never acted in the interest of ANYONE except in the interest of enriching himself at the expense of miners and communities. Spoor is no environmentalist, this I guarantee you, nor does he care for the community, sick miners, the country or anything other than lining his pocket. That’s harsh. Didn’t he end up doing good for silicosis sufferers?